If you’re the owner of any business, small or large, then chances are you have some form of website or online platform that you use to attract traffic, and in turn, paying customers. On that website, you might have a blog section – a place where you post online content that directly relates to your business and fits the niche so well that it lets people know you understand exactly what you’re talking about. This is highly important. As a business owner, it is crucial to show those that you wish to do business with that you’re the perfect fit for the job or the perfect supplier of the product; and the only way to showcase that to your maximum potential is to show them just how much you understand your market. Showing an understanding promotes confidence in your business, and instilling confidence creates working relationships, a clientele and greater revenue – the very things you took your business online to acquire. A great way to show your understanding is through blog posts. Posting short articles and other written pieces that are niche-specific and relate to your customer, offering them some form of free knowledge or information, could be the very thing to seal the deal; the very thing that transfers the money from their hand into yours. And in this article, I’m going to provide you with four great ways on how you can do just that. The only issue with written content is that nowadays, with the laziness of our society, people just no longer have the attention spans to sit for a prolonged period and read. My advice is get in, introduce your article, get the desired audience engaged, give them the information, and get out. There’s no need to drag out points to sound cooler and more intelligent. In fact, that’ll only end up having an adverse result. Just cover what you need to and get it out there. Nobody wants to read any more than five-hundred to one-thousand words these days, so I’d recommend not going beyond that. If you run a paving company, there’d be no use in going off on tangents about the latest heavyweight boxing fights. Keep you content niche-specific and relevant to your business, this way you’re giving your possible customers the best impression of your business and at the same time, showing them that you know exactly what you’re talking about. You won’t sell a single product or service if all of your content is essentially just a post that goes something like: ‘use us’ or ‘buy our product’. There are a huge amount of businesses out there doing similar things to you and that would only be counterproductive. Your aim is to show your clientele that you do it best, not just that you do it. You’re not here to simply participate; you’re here to take over. Always make your articles informative, and ensure that the titles are gripping and relevant. It’s a great idea to include the theme of the article in the title and setting them out in this list format is extra helpful for your reader. In essence, don’t just say ‘we have this product, you should buy it’ but rather, show your customer that you understand your market, give them free help and information, and then work your product into it at the end of the piece, pointing them towards it and telling them a little about it. This way you’re helping them before they even buy anything from you, which will instil them with confidence from the get. Think about it, providing people with free information that is actually helpful shows that you must know enough about your niche to charge for an even broader knowledge and level of expertise, otherwise you wouldn’t have a business at all. When running a business it can be highly difficult to find the time to create content for online platforms such as a blog, especially if you’re online elsewhere on places like Twitter and Instagram. Between taking phone calls, answering emails, scheduling meetings and working on new product releases/carrying out your services, there’s very little time for much else. That is where a content-providing company comes into the equation. 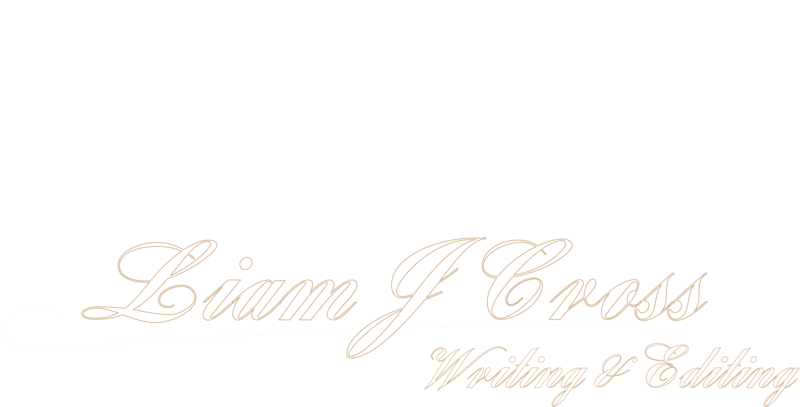 Here at Liam-J-Cross Writing & Editing, I have a vast amount of experience in creating articles of this degree, which are designed and put together both to dutifully inform your clients and to secure their business. I have written many pieces of this nature over the past few years, all of which are highly impactful in becoming an excellent source of low-cost advertising. The articles that I write look a lot like this one. I draw you in with a title that applies to you, give you some free information, and then link it back to my product/service and point you in the direction of my business. I could easily do the same for you too, no matter what sort of business you run. So long as you have a product or service, this technique can be deployed to generate more sales and create more leads. At one point, online sales were the future, now they’re the current. So it’s time to step your game up; it’s time to create the online platform your business deserves. Please get in touch via the contact form down below, where you can learn of my services in greater detail and hire me to provide winning content for your business. Or you can check my contact page, where you can get in touch with me in a variety of different ways. Please reach out if you have any queries or inquiries. Be sure to check this page for further information on my content writing, including the all-important price scheme.